When an at-fault driver is involved in a Boston car accident while working, who can be held liable? Our experienced Boston injury attorneys can help you identify liable parties to get you the award you are entitled to. The Supreme Court of Texas recently heard a case involving the question of vicarious liability. Arvizu, et al. v. Puckett, et al., No. 11-0023 (Tex. S.Ct. Mar. 30, 2012). Vicarious liability is centered on the agency law principals where an employer can be held liable for the negligence of an employee when the employee acts negligently while furthering the employers business. Agency law becomes more complicated where there is a subagency component. A subagent is defined as a person who was appointed by an agent to perform an act that the agent consented to have done on behalf of the agent’s principal. In order to qualify as a subagent, the agent must be responsible to the principal for the subagents conduct. Where an action is taken by a subagent, legal consequences are carried by the principal and not the appointing agent. This subagency liability is seen in Arvizu, et al. v. Puckett. This case involved a car accident between Cantu and Juana Arvizu (plaintiff). The relevant factual information is as follows. Montgomery County Auto Auction (MCAA) and Puckett Auto Sales had a longstanding commercial relationship. Puckett was at an auto auction held by MCAA trying to sell a pickup truck owned by Puckett. 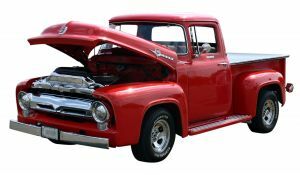 The pickup truck did not sell so Puckett instructed MCAA to deliver the pickup to another auction house. MCAA then instructed an MCAA employee, Cantu, to drive the Puckett pickup to the other auction house. While Cantu was traveling to the second auto accident, he was involved in a car accident with plaintiff causing injuries to plaintiff and plaintiff’s son. Plaintiff sued Cantu, MCAA, and Puckett for negligence claiming that MCAA and Puckett should also be held liable for Cantu’s negligence under the theory of vicarious liability. Thus, the question for the court became whether two parties can simultaneously be in control of the same person, in this case Cantu. In the initial trial court a jury found that there were three layers of liability. MCAA was employed by Puckett. Cantu was an employee of MCAA, not Puckett. Thus, Cantu an MCAA were both responsible for transporting the pickup for the benefit of Puckett and under Puckett’s control. Puckett appealed this jury decision stating that the decision that both MCAA and Cantu were both under Puckett’s control was too much of a material conflict. In support of this contention, Puckett was responsible for proving that by finding that Puckett was liable for the actions of both MCAA and Cantu, a different judgment needed to be entered. Puckett was unable to meet this standard and therefore, lost their case. The court found that Cantu was under the control of Puckett while transporting the vehicle therefore, leading to the nonemployee mission liability. This is the type of liability found where there is subagency. In this case Puckett was the principal who instructed their employee, MCAA, to transport the vehicle. MCAA was thus the agent, instructing a subagent, Cantu, to transport the vehicle. Because of the existence of this type of relationship the court found that Cantu, MCAA and Puckett should all be held liable for the injuries plaintiff’s sustained. If you have been injured contact Boston Injury Lawyer Jeffrey S. Glassman for a free and confidential appointment. Call 877-617-5333 today. Arvizu, et al. v. Puckett, et al., No. 11-0023 (Tex. S.Ct. Mar. 30, 2012).